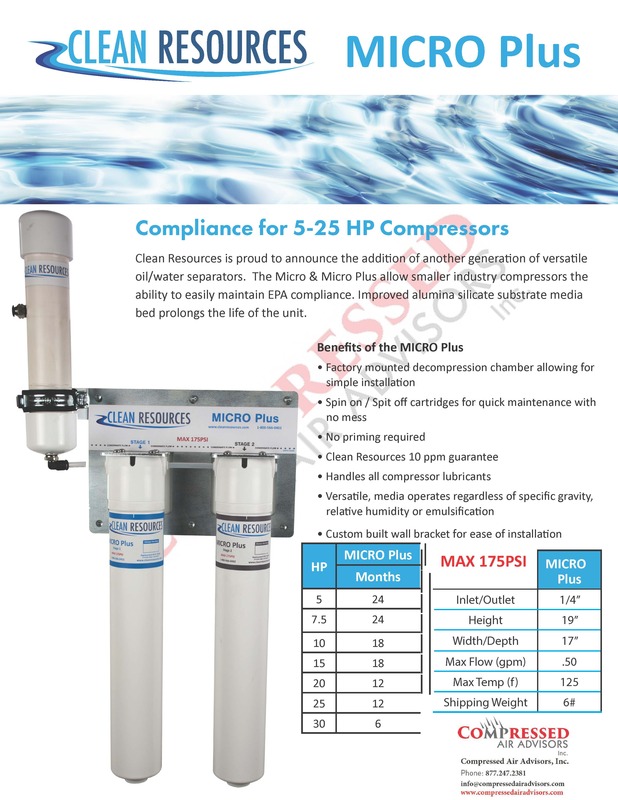 The MICRO PLUS allow smaller industrial compressors the ability to easily maintain EPA compliance. Improved alumina silicate substrate media bed prolongs the life of the unit. Along with the technologies of the CRP Paks, these CRP-IDC Paks provide, improved performance, a longer lifespan, simple single step installation, a lower profile. In addition, sizing of the unit has been done to make it easy for service personnel or the client to become better aware of when to change the unit. The MICRO PLUS have been designed using an improved alumina silicate substrate media that prolongs the life of the unit. It also comes with a durable, onboard decompression chamber. These new units come complete with a 5 inlet hub, 5 hose barbs, an inlet hose, and an outlet hose. Prime the unit and simply run your condensate lines to the unit. With the CRP-IDC Paks there is no need for a separate decompression chamber. 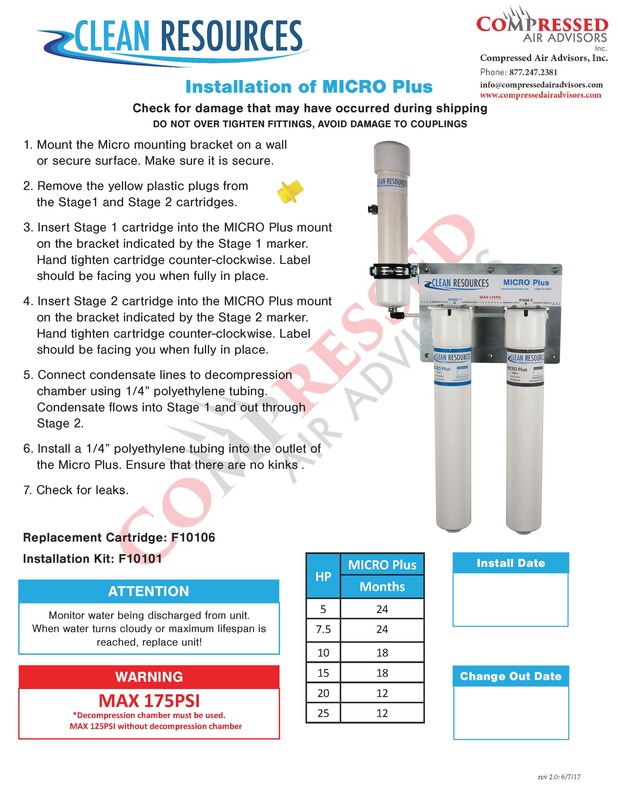 Laboratory tested and proven in the field, the MICRO PLUS is engineered to provide EPA compliant results. It is changing the world of compressor condensate management. Once the condensate from the waste stream is piped into the unit through the inlet hub, it comes into contact with our improved alumina silicate substrate media. These beds absorb the lubricant while repelling the water. The lubricant bonds with the media making the cleaned water easily disposable.